The Latin tag, for those who don’t know it, means roughly ‘who will guard the guards themselves?’ and it was coined by the Roman poet, Juvenal, who was active from late in the first century CE and was a founder member of ‘the awkward squad’. He also thought up the phrase ‘bread and circuses’ and would have got on well with HL Mencken, another perceptive curmudgeon and piss-taker. Juvenal and Mencken inspire this little note, which brings together three aspects of current developments in the law relating to ‘national security’. We do no more than draw attention to the three articles, since to do more is possibly just the sort of thing that could get us into trouble. the broader problem of national security in Australia. 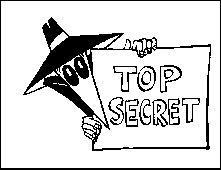 Our spies operate with virtually no public parliamentary scrutiny. We are blithely assured by politicians that we have the world’s best counter-terrorist and counter-espionage agencies, despite their racking up major failures — Man Haron Monis, the near-thing attempt to bring down an airliner out of Sydney about which our agencies knew nothing, major cybersecurity lapses. But we have weak mechanisms for politicians – publicly or in-camera – to hold them to account. Secondly, we noted just today and in similar vein, Guardian Australia journalist Kieran Pender seeing ‘creeping Stalinism’ in the imminent changes to Australia’s official secrecy laws. The article points out that official secrecy laws are a legacy of the Great War and have been largely unchanged since. Submissions are being received by the relevant parliamentary committee. Thirdly, there is this from the Australian Parliamentary Library and its fellow libraries in the United Kingdom, Canada and New Zealand: ‘Oversight of intelligence agencies: a comparison of the “Five Eyes” nations’ (posted just a month ago). The paper is a lengthy, sober and legalistic description of oversight arrangements in these four countries and the United States. It has been prepared for the Australian parliamentarians whose unwillingness to rattle the cage Keane and others see as a large part of the problem. The authors are Cat Barker and Claire Petrie (Australia), Joanna Dawson and Samantha Godec (UK), Holly Porteous (Canada), and Pleasance Purser (New Zealand). ‘The intelligence communities have evolved to meet new challenges as they arise, and will continue to do so’, the paper concludes. ‘It will be important for the oversight arrangements to keep pace with such changes, and there may well be lessons that the countries considered in this paper can learn from one another as they each continue to review and strengthen their oversight mechanisms.’ Indeed. It is perhaps unfortunate that the designated el supremo of much of this developing regime, Minister Peter Dutton, lacks a benign visage. If he looked more cuddly, more avuncular, more like Philip Ruddock, who wrangled some strong national security legislation a number of years ago, the forthcoming changes might go easier for him. Still, it’s happening regardless.